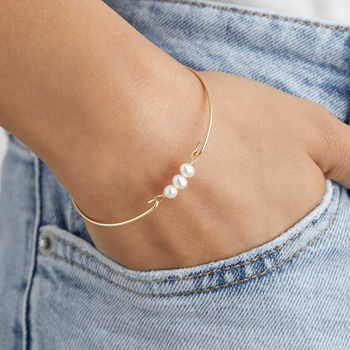 A beautiful handmade silver or gold pearl cluster bangle bracelet. Perfect for weddings! 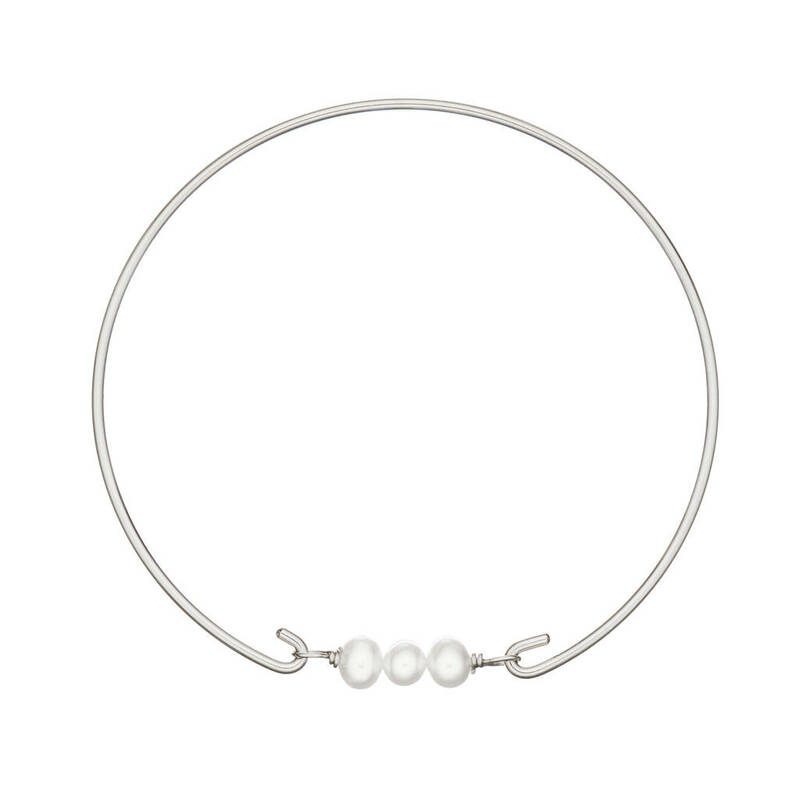 The cluster pearl bangle bracelet is the perfect wedding day jewellery gift for a bride, bridesmaid or flower girl. 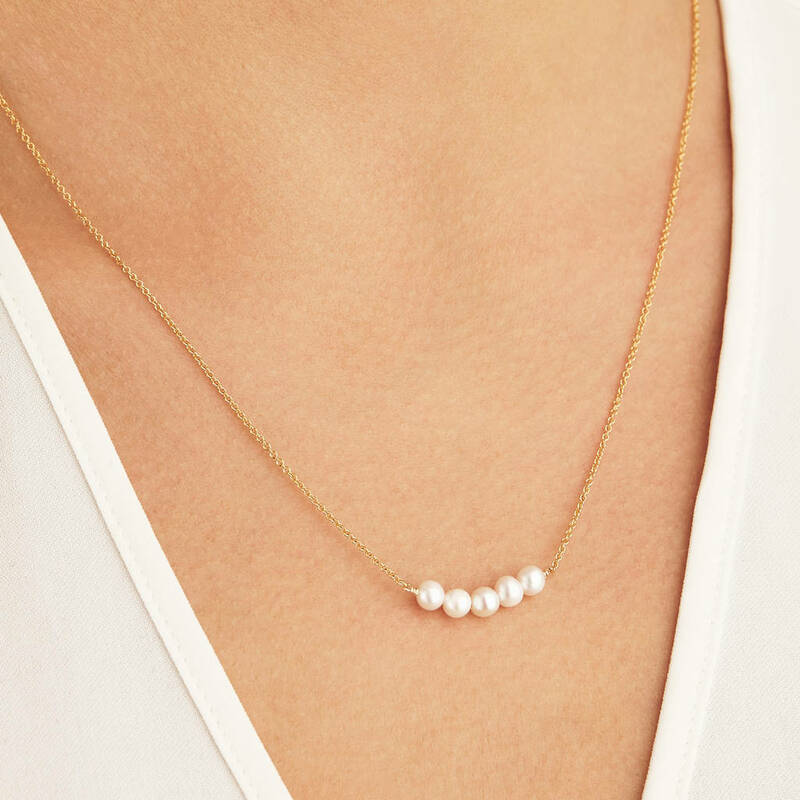 As well as a beautiful gift for any wife, girlfriend, mother or daughter. 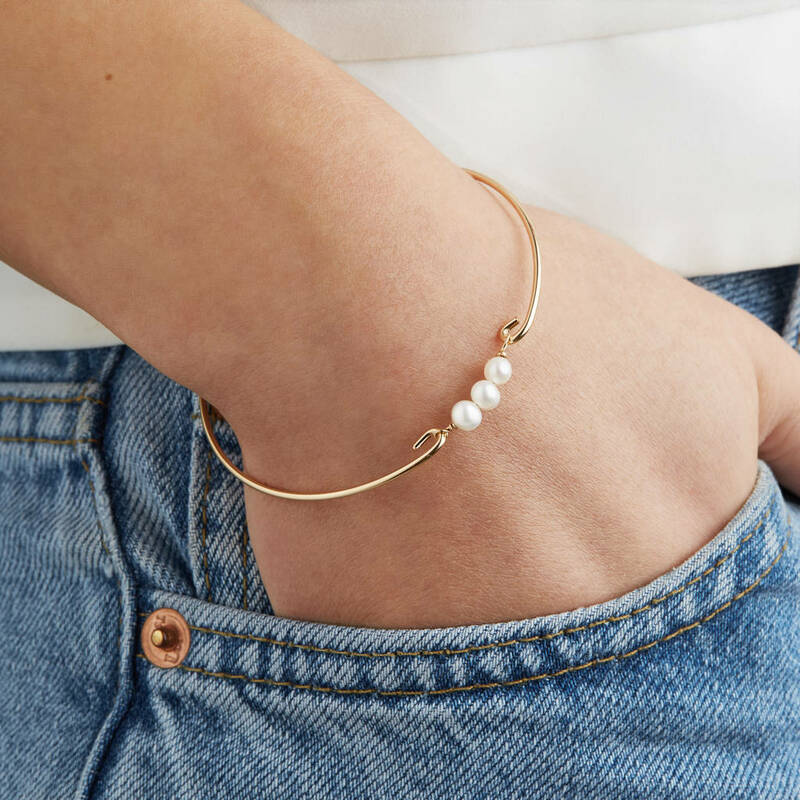 Lovingly handmade in our London studio, this cluster pearl bracelet is ethically sourced and produced. 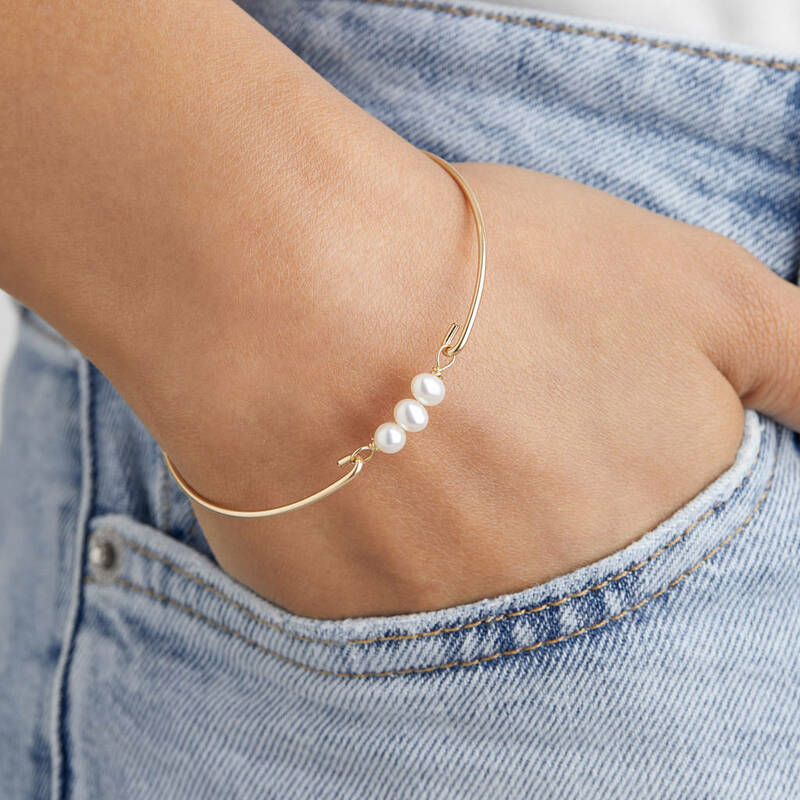 Your pearl cluster bangle will be sent to you in a complimentary Lily & Roo gift box. 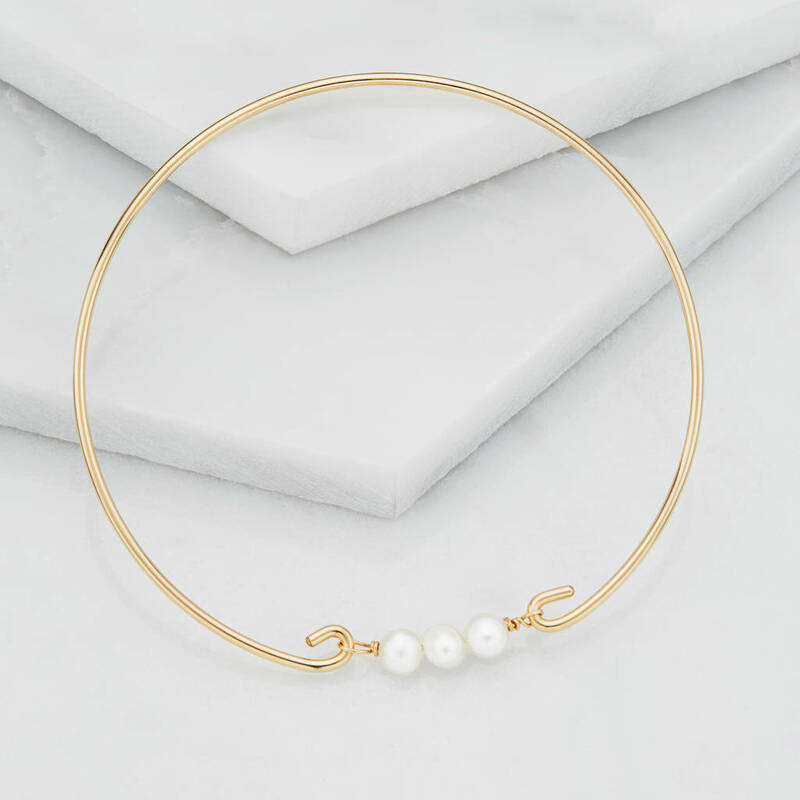 Our delicate pearl cluster bangles are available in gold or silver. Available in either Sterling silver or 14ct gold filled. 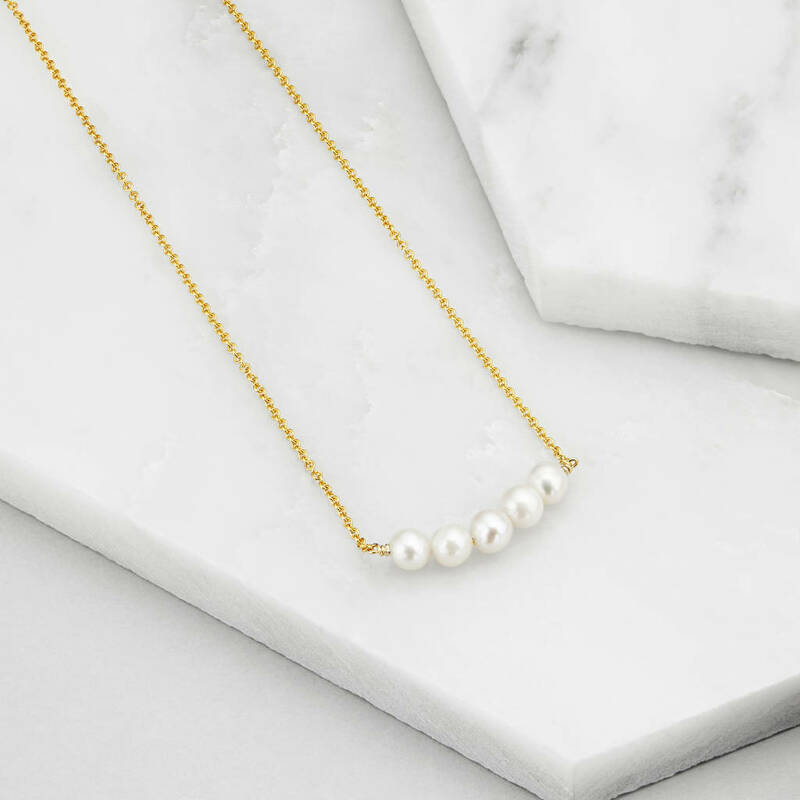 Featuring 3 genuine freshwater seed pearls. Gold Filled is a layer of pure gold pressure-bonded to the core metal. 5 to 10 times thicker than gold plating. Gold filled is much more valuable and tarnish resistant.